Procter & Gamble's board of directors has issued a letter to its shareholders outlining the reasons why shareholders should vote for the board and against investor Nelson Peltz. Peltz, who owns a $3.5bn (£2.81bn) stake in P&G through his company, Trian Partners, wrote a white paper in September detailing out what he believes are fundamental problems with the way the company is run. Rumours have been reported as early as February that Peltz would be keen to break up with P&G as he had tried to do (and failed) with Pepsico. In response, P&G called Peltz's views outdated and has now sent a letter to its shareholders rallying support against Peltz. 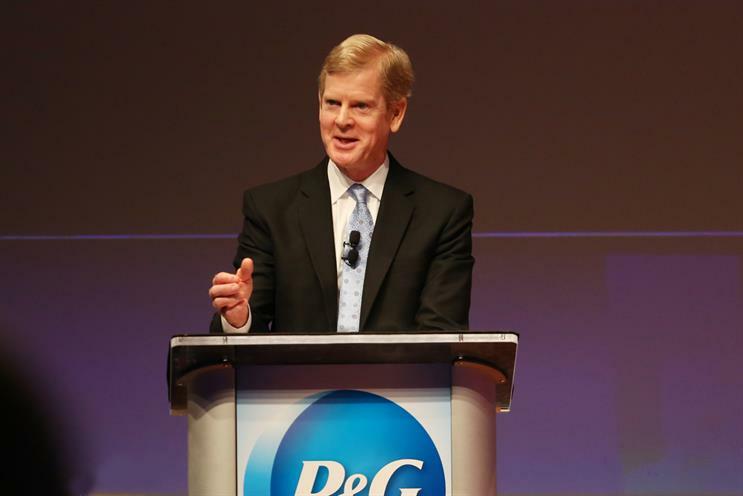 In the letter from the board, signed by P&G's chairman of the board, president and chief executive, David S Taylor, P&G said that it does not believe adding Peltz to the Board would be the right choice for the company. "While Mr Peltz is an accomplished investor, he does not fit the criteria established by the P&G Board through its rigorous governance process, nor does he have the skills the board needs to continue to guide P&G for the future. P&G is on the right track and needs to stay focused to avoid derailing the progress underway," the letter read. Global business experience, especially in China, which is an exceptionally important market. Digital technology, data and analytics experience, as P&G's ability to use new e-commerce, marketing and media innovations will only accelerate. Healthcare experience, as this is an important and growing category for P&G, and it has unique category characteristics that require specific expertise. Gender and ethnic diversity, as the Board composition should reflect the consumers we serve, and should continue to guide P&G’s social and environmental sustainability leadership efforts. Board members who represent the next generation of leaders, to keep pace with the fast-changing world. Negative foreign exchange pressure that has only begun to modulate in recent months. Traditional retail channels being disrupted by e-commerce. Traditional ways for reaching consumers are being upended by digital. P&G needs to learn new ways to market to consumers and rapidly change its marketing mix to digital. Technology advances that were enabling more rapid innovation cycles and faster consumer insights through big data and analytics. China, P&G's second largest market, was undergoing a massive change toward premium products, which was a threat to P&G's mid-tier product strategy that had worked well for many years. To face the above challenges, P&G implemented a major productivity and cost-savings programme over the past five years during which it reduced cost of goods sold, non-working marketing spending, and overhead costs by more than $10bn. It is currently on its second $10bn savings drive. This led to a 1.7% cut in advertising spend from the FMCG giant. It has also reduced manufacturing and non-manufacturing roles by 32% and improved profit per employee by 45%. The board also explained that it has reduced the number of brands under P&G from 170 to 65 and the number of categories it operates in from 16 to10. "We now have a portfolio that plays to our strengths, where products solve problems and performance drives purchase. We are completely out of businesses driven by fashion, fragrances or flavours," it said. The letter pointed to new businesses including Tide Pods, Pampers Swaddlers and Pants, Downy Unstopables, Always Discreet and Radiant, Oral-B Power, and many others. To tackle the issue of China's changing middle-class and the trend towards online shopping, P&G worked with Amazon, Alibaba, and Tencent. Outside China, it works with Amazon. "Our $3bn e-commerce business is the largest of any multinational consumer packaged goods company, growing 30% last fiscal year, and growing share in eight of 10 categories," it said. 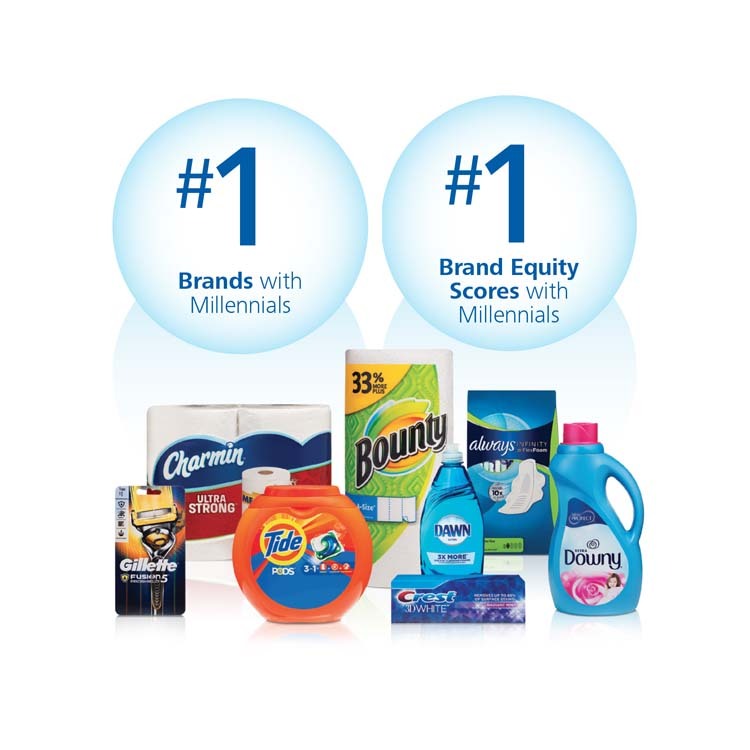 The letter recognised P&G's digital media and advertising efforts in building top market share among millennials in brands such as Always, Tide, Downy, Dawn, Bounty, Charmin, Gillette and Crest. Finally, the letter explained that the board was changing the company's organisation structure to speed up decision-making and improve accountability. "We are dismantling the matrix organisation that powered P&G for many years and have moved to 10 category leaders that each have end-to-end accountability from strategy to financial results. 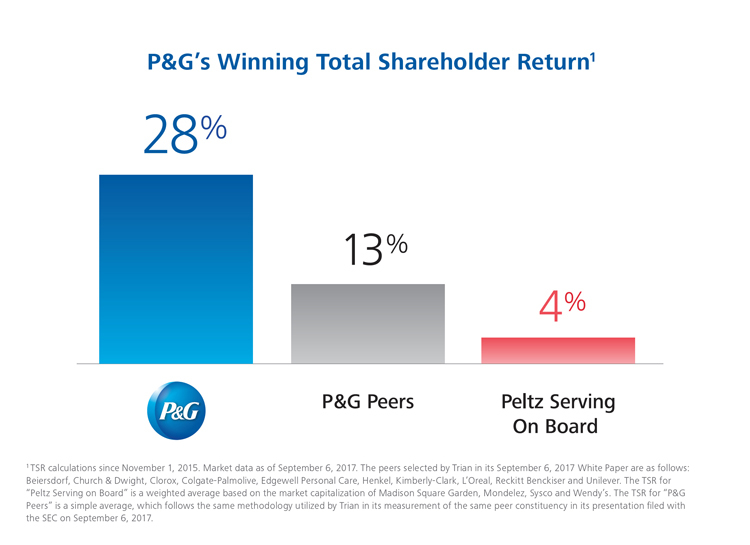 We have changed our compensation system to hold category leaders even more accountable, and to differentially reward category teams for their performance," it said, adding that P&G has delivered 28% total shareholder return during the past two years.